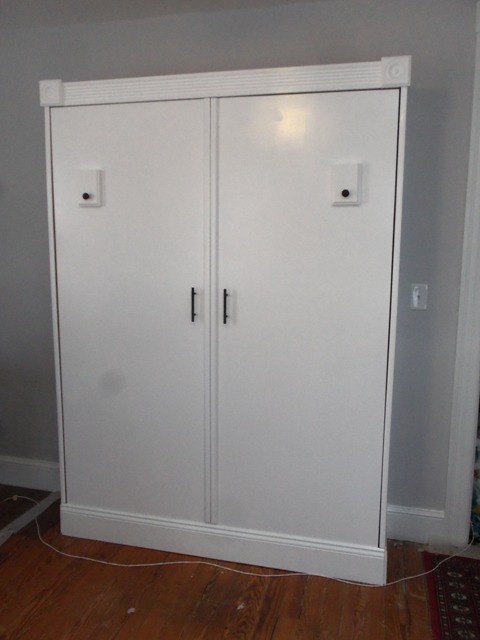 Besides the cabinet hardware, the final finishing touch was a little more trim down the middle to make the panels look more like doors. I think it came out really well. 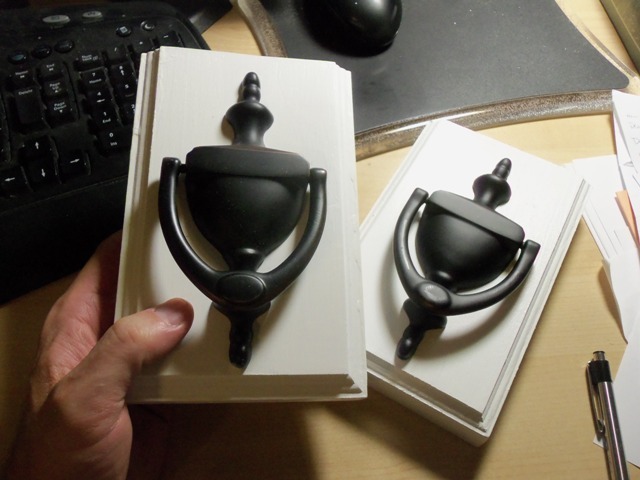 In the pictures, the knobs and handles look a little face-like, but in real life the effect is not as strong. 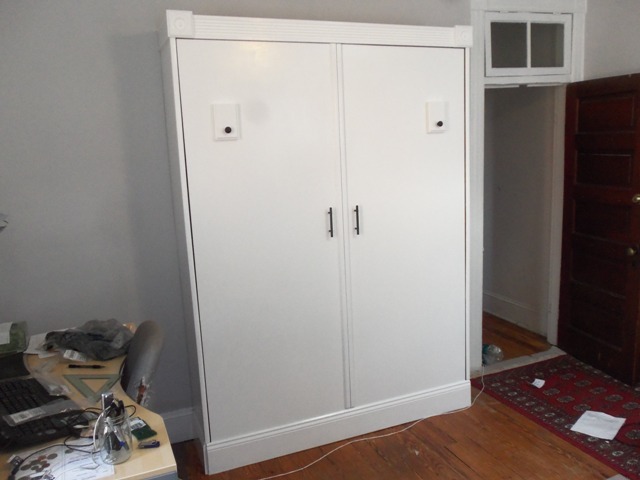 To see all the posts on this project, click “Murphy Bed” in the Categories list. Congratulations! It looks so good!!! 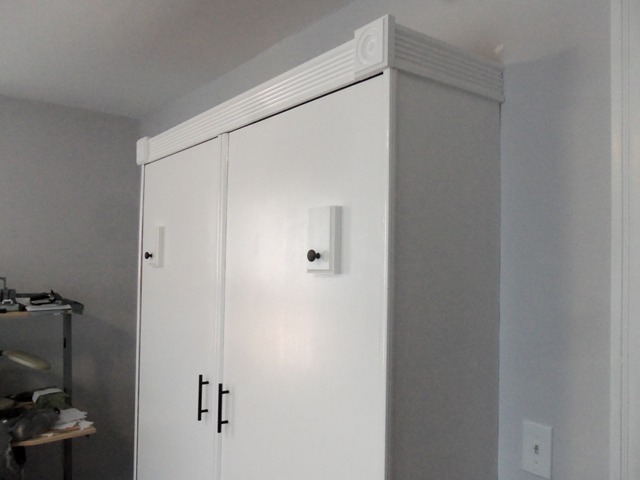 It is astonishing how that trim down the middle really makes it look like a cabinet. I didn’t notice before that the ‘doors’ are made from two pieces of wood. I guess that would make sense since queen mattresses are wider than 4 feet. It’s just so cool. Take a celebratory nap on it! Way to go, Brad! I would never guess there was a bed in it. And I’m with Lauren….you need to get some use out of that bed you worked so hard on! Why wait for some new family to have all the fun – paint that smile on NOW! Brad, I saw this and thought of you: http://www.apartmenttherapy.com/double-murphy-bunk-bed-175927. Maybe to prepare for all the company you’re sure to get in Hawaii?